Please join us for a conversation about the future of voting and elections in our state. This is a great opportunity to learn about Election Protection, Redistricting Reform, and the Democracy Act Bill set to drop in February. 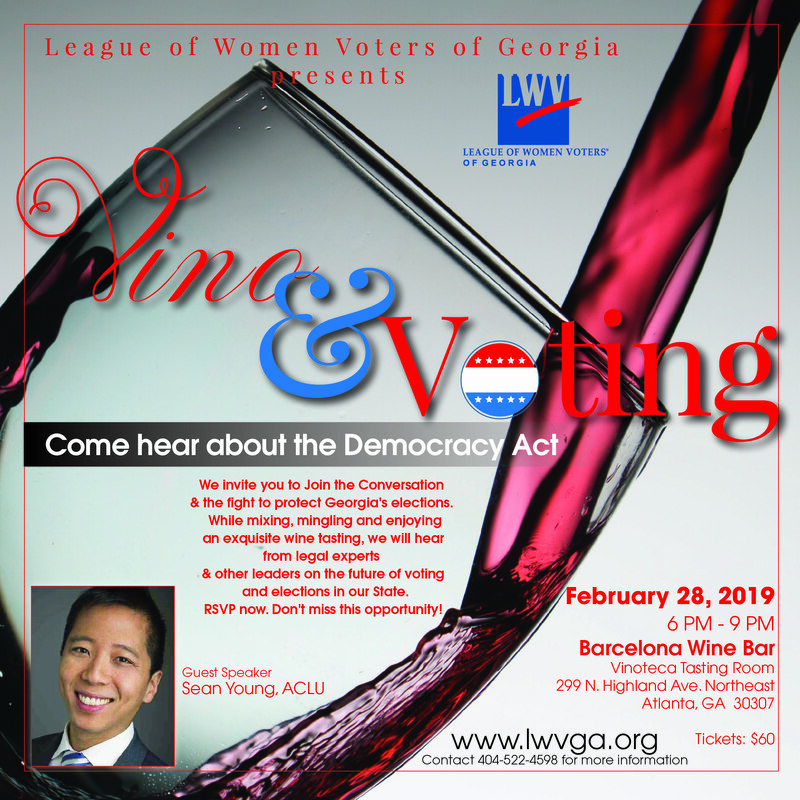 Enjoy a glass of wine while listening to our guest speaker Sean Young, Legal Director of the ACLU. RSVP now to reserve your seat - don't miss this opportunity to get involved and to protect our democracy.